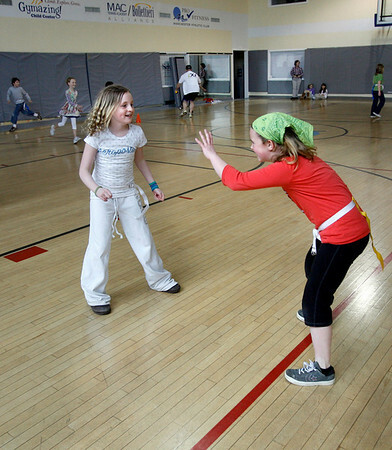 Manchester: Maddie Trumble smiles as she plays tag with her classmates at the Manchester Athletic Club as part of their Enrichment program, which includes tennis, excercise, nutrition and science classes. Twelve area schools are participating in the program. Photo by Kate Glass/Gloucester Daily Times Wednesday, April 8, 2009.